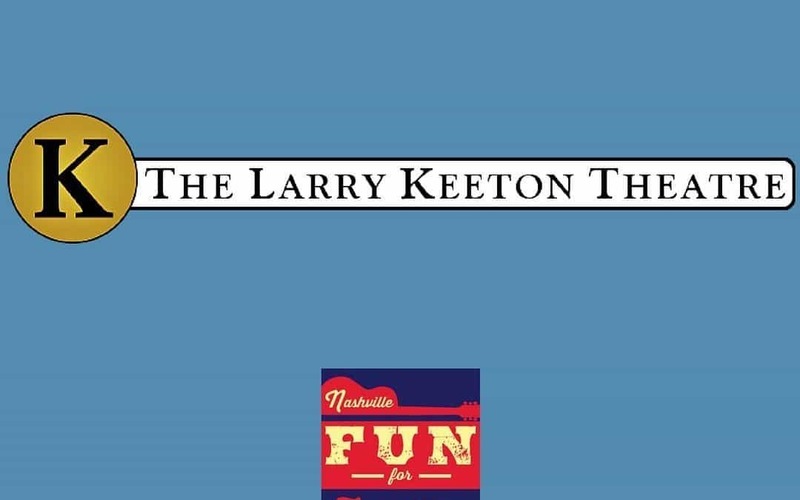 Located in the Fifty Forward Center in Donelson is a gem – the Larry Keeton Theatre. It is unassuming from the street, but it is the third highest attended theatre in town. Treat yourself and your family to a performance and dinner. Did I mention it is a dinner theatre? For a reasonable price you can enjoy a full meal including drinks and a dessert (you can even bring your own wine) as well as a fabulous live performance. We saw a production of 9 to 5 and the actors definitely stood up to their movie counter parts (Dolly Parton, Jane Fonda, Lily Tomlin). We laughed and loved the music. It was a very professional performance. (Unlike my pictures – flash is not allowed but the photos below should give you an idea of what to expect). The theatre produces 9 to 10 shows per season. Tickets can be purchased per show or you can buy a season pass. Most shows are family friendly. And the ones that are not would make a great date night. Look for upcoming shows here or check the Theatre out on Facebook. If a performance inspires your child to join in the fun the Larry Keeton Theatre has summer camps. 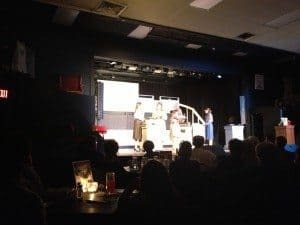 The kids that participate can then perform in a full production. 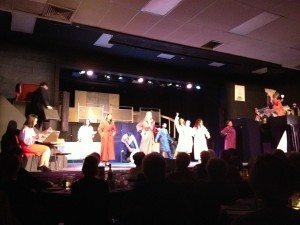 Some productions offer parts for children through the season as well. Spend an evening out enjoying local Nashville talent and come back and tell us what you thought.